Do you want a top-notch coffee shop point of sale (POS) system that’s updated regularly and provides you with an organized service? The right coffee shop POS system gives your baristas just what they need to manage the daily grind and provide fast, efficient service to your customers. Maybe business is picking up and you’re looking to invest in a point of sale system that’s going to keep you on top of your game. Whatever the case may be, you seem like you’re in the market for a coffee shop POS system that won’t let you down. In this article, you’ll find the best coffee shop POS systems, comparison charts, reasons why you should be investing for your coffee shop, as well as a final review of the best system. After searching endlessly, we found that the Square, a POS service for your app-capable device, is one of the best on the market for those in the coffee shop business. Whether you run a shop that’s pop-up only, or you have an established location, you’ll be able to get everything you need at the touch of a finger on your iPad tablet. Receive instant deposits, chargeback protection, analytics and sales reports, plus much more! There are many benefits to using Square, Inc. on your smartphone or your tablet. 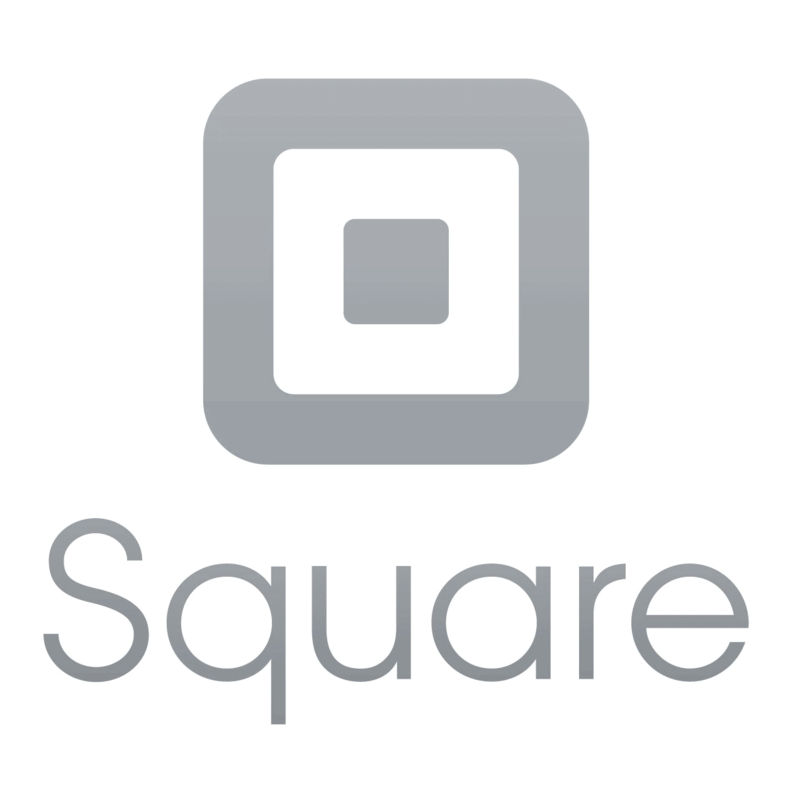 First, Square keeps your business financially efficient. Not only can you swipe without an internet connection, but you’re also able to print receipts, stubs for orders, kitchen tickets, and more. This app allows you to customize your discounts and tipping, along with taxes. This app offers another fantastic benefit—the capability of having an all in one point-of-sale solution package. This feature ensures an outstanding organization in many areas. From being a receipt printer to a cash drawer and known as “Square Stand”, you’re able to perform all financial tasks on your iPad instantly. For every swipe that’s performed, you’ll only see 2.75% taken out of each purchase. Then, you receive the rest of the deposit into the added bank account within two business days. Using this coffee shop POS, you’re able to receive payments from multiple major cards, including American Express, Discover, MasterCard, and Visa. Your business no longer restricts a customer’s purchase because your shop isn’t capable of handling it. Accepting PayPal debit cards is simple, as they generally have a major card logo on them. There are no hidden fees. You reap the benefits of a “next day deposit” option. You might be curious about keyed-in card payments. How do these transactions affect the percentage taken out? If you don’t swipe, you’ll see a 3.5% charge plus an added 15 cents. For example, if you key in a purchase that’s $100, you’ll receive $96.35 into your bank account. The aforementioned fee is the only percentage you’ll see deducted. This is what it costs per charge to use the Square, Inc. iPad app. No hidden fees or monthly fees are collected on top of what you’re already charged. We love that the deposits and percentage received from the Square, Inc. app aren’t ones that come with hidden fees. It’s also fantastic that you receive chargeback protection. Your customer can’t attempt to receive a refund after they already received an item in your coffee shop. While we like to try and trust people, not everyone has a great heart. Some people prove to be very hard to please. Chargeback protection covers up to $250 per purchase and up to $250 in total protection per month. For example, if a customer’s whose order comes to $30.00 attempts to chargeback and receive a refund, you still have $220.00 remaining in protection for the month. Another benefit of using this app is the instant deposit you receive – 1% of the sale. After this, you’ll see the rest of your payment within two business days. This turnaround is one of the fastest in the coffee shop POS market. Getting started doesn’t cost an arm and a leg either; the magstripe is free for your store. No credit checks are required. All you have to do is sign-up, and then download the app onto your iPad from the app store. Easy as pie–or that auto latte machine you have in your coffee shop! Want to have satisfaction with each transaction? Look no further, as the Shopkeep POS system is going to make things a lot easier for you. Even when the system is offline, you’re able to reap the benefits regardless. All orders will come with a note section for clarification, and you won’t have to play a guessing game to figure out parts of an order, or the person behind said order. There are many coffee shop POS systems that just don’t deliver when it comes to the way in which your customers pay. With the ShopKeep iPad app, you’re able to receive payments from those that not only use major credit cards, but those who use EMV chip cards, and those who make payments via their mobile phone. You make your coffee shop more convenient for those on the go. To use ShopKeep, there’s a “pay as you go” system for those that want to try something a little less painless than others. With a rate of $69 per month, as well as free quotes created for those with a large or small customer base, you won’t have to worry about too much being taken out of each order. This is what sets ShopKeep apart from many POS systems. Within the ShopKeep app, your employees log on and receive payments and orders through their name. This allows the owner or manager to pinpoint what happened during each order and with which employee. Employee accountability is everything. After all, you’re looking to trust someone with not only finances but customers, too. By using this app, your staff utilizes the quick sign-in and sign-off for their shifts. ShopKeep promises many other benefits, including gift card integration to help your coffee shop spread the love to others. In offering gift card integration, as well as being able to sell even when offline, you’ll never miss a beat within your fast-paced shop. You’ll be able to manage and keep tabs with ease. Technology doesn’t have to be confusing or frustrating when the Internet isn’t readily available. Designed specifically for coffee shop owners, the next POS system for coffee shops isn’t one that’s initially designed for the restaurant industry as a whole. The manufacturers of Coffee Shop Manager cater specifically to the needs of those in the coffee shop niche of the restaurant industry. There are three levels of pricing on top of the monthly pricing, as it offers more; however, if you want something simple and basic, you can pay the $99 a month. If you want additional help and tools, you’ll pay per tier. Coffee Shop Manager offers three levels of pricing on top of the monthly pricing. For those wanting something simple and basic, you pay $99 a month. If you want to take advantage of the additional help and tools, you’ll pay per tier. The first tier costs $159 per month on top of the monthly fee. This price includes set up. Within this tier, you receive support, Ethernet printing, encryption for credit card reader, printer-drive electronic cash drawer, training, menu prep, CSM POS software, and much more. Known as the “Americano” tier, this level offers a TON of basic, but useful features, at a decent price. Mocha – This tier is noted as the most popular. While this tier costs a bit more per month, it comes with a touch screen terminal, magnetic card reader, thermal receipt printer, and much more, in addition to the features included in the Americano tier. All the features included with this tier cost $200 a month. Latte – The last tier comes with an incredible number of features for a little less per month. While you won’t get everything in the Mocha tier, you’ll receive everything included in the Americano tier. Along with these excellent features, you will receive a 15” Touch Dynamic terminal. The price of this tier is listed at $179.00 per month. Many other features that come with the Coffee Shop Manager include the EMV integration for those that want to add a “chip-and-signature” option. Because almost every major credit card utilizes chip technology, it’s more important than ever to update your software to be able to receive that. While those who have a chip can still swipe, it may delay the processing and cause a delay in the receipt of funds. Another fantastic feature of using Coffee Shop Manager is the ability to encrypt each swipe that a customer performs. As soon as they swipe their card, their information is encrypted. By using this POS coffee shop system, you protect them instantly and ensure that their information won’t get stolen. We have to say that we love that the processing for each payment is between 2 to 4 seconds. This means that your customer receives their order much quicker. Handling orders will be more efficient. Orders won’t be backed up. Finances can be difficult sometimes, but managing them doesn’t have to be. With the Coffee Shop Manager, you no longer have to worry about high fees, and disorganized orders. Whether you own an enterprise or a small mom-and-pop shop, Coffee Shop Manager offers solutions for you. Running a coffee shop can be more stressful than people realize. Between managing staff, inventory, and complex orders, many factors require daily managing and consistent monitoring. Fortunately, having the right point of sale system in place helps take care of many of these tasks. A coffee shop POS provides the mechanics needed to ensure the customer receives their order quickly and correctly—every morning! When you implement your new system, revenue increases, costs decrease, and the overall efficiency of your business rises. The software is user-friendly so employees learn the system quickly and feel comfortable using it. This increases employee satisfaction and reduces turnover. Regardless of the system used previously, employees will transition seamlessly to your new POS system. Managing inventory can be a challenging task without the right sales tool. With the right system, your baristas know how many products are going out–down to the very last bean. Tracking everything you sell is vital. The reporting feature tells you what needs to be replenished in real-time. Based on your sales, you determine which brew sells the most and which products are less favorable. Then, you can alter your menu accordingly and possibly introduce new products. A morning rush can make or break a coffee shop. It is very likely that you will find your store on the receiving end of some reasonably complex orders. Luckily, a POS system like Square makes handling complex orders fast and easy. With an easy to read interface and intuitive display, your barista will have no problem entering orders. The faster the orders are entered, the faster they come out. An easy to understand display will help your employees—and your bottom line. Customer satisfaction will soar as your baristas have more time to smile, communicate, interact with the customer, and provide awesome customer service. Knowing how to staff your day adequately assists in your cutting costs for your business. 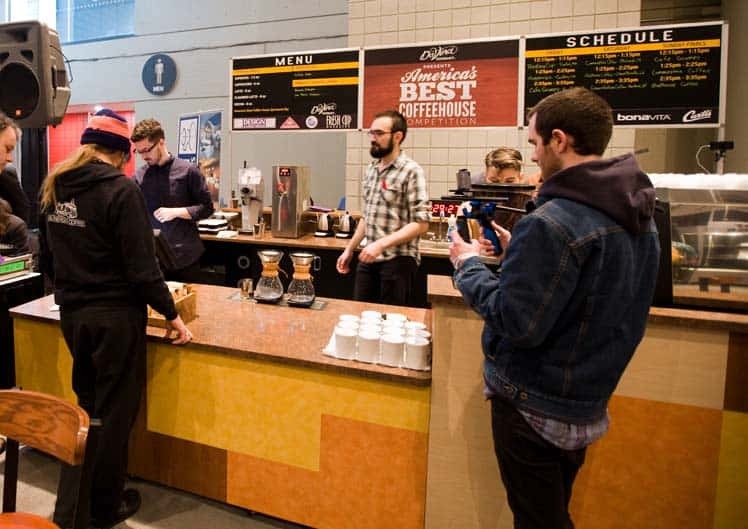 With a coffee shop POS system like ShopKeep, you can view when your store is the busiest, the number of orders and the employees who provided the services. This can also aid in finding out if any staff is performing poorly. Keeping your team accountable ensures that they perform to a higher standard. As stated before, knowing when your shop is the busiest allows you to staff accordingly. Smarter schedules lead to more efficient employees. More productive employees lead to more customers served. The more customers served, the better your profits will be. Tipping is massively important for your baristas and their income. Having the right point of sale system in place to handle electronic tips is essential. Tipping is a gracious act and should not be seen as a hassle for the customer. The process should appear seamlessly in the checkout flow. Customers should not even notice the process while it is happening. The display will also offer a few options for the tip amount, ranging from 15 to 25%, or a custom amount selected by the customer. Having these options increases the likelihood that the customer will pick one as opposed to nothing at all. Easy to read data makes bookkeeping a painless process. Your chosen coffee shop POS system should assist in making your data accurate and easy to understand. With clear graphics and charts displayed, you will be able to see just how much money you have coming in. You can also view what is selling the best, which products are lacking, when your shop is the busiest, and more. Simple and easy features like solid reporting can make managing a coffee shop stress-free. With the complicated aspect of running the business taken care of, you can focus on more important things like making that perfect dark roast. Fine tuning the employee interface reduces errors and helps to get every order correct—every time! This not only speeds the order process but also encourages repeat customers for your coffee shop. Perhaps, you would like to offer gifts cards to current customers so they will share their love for your coffee shop! Gift cards provide an excellent way to drive your sales up and broaden your customer base. Loyalty cards and coupons are other ways to draw new customers to your shop. Your software aids you in keeping track of customers’ points and discounts. A coffee shop POS provides the mechanics needed to ensure the customer receives their order quickly and correctly—every morning! When you implement your new system, revenue increases, costs decrease, and the overall efficiency of your business rises. At the end of the day, you want a coffee shop POS system that not only promises an exquisite user interface but one that doesn’t cost an arm and a leg to run every month. 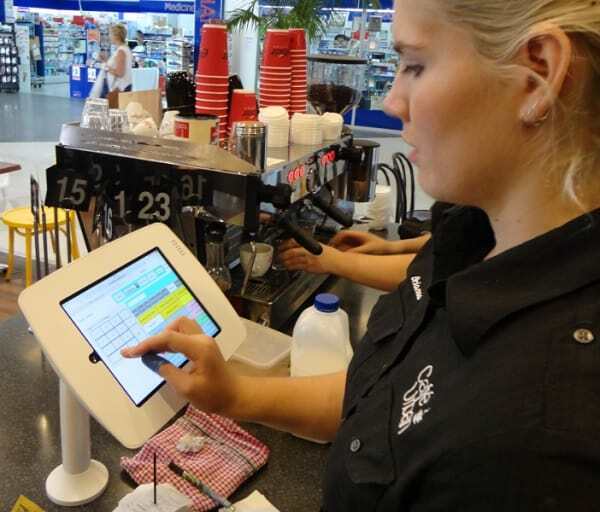 Convenience and the ability of the POS to increase sales is the reason you’re using a system. Using a POS system like Square ensures that you’re going to process orders more quickly, safely, and efficiently. We hope that this guide helps you figure out the right point of sale for your needs.